No need for 3 steps when 1 will do! P&S Play Maker All-in-One Polish & Protectant gives anybody, whether you are a professional or an enthusiast, the ability to correct, perfect, and protect their paint in one easy step! The micro-abrasives in P&S Play Maker All-in-One Polish & Protectant allow it to correct light to moderate imperfections in your paint, then polish out to a glossy finish. Once it is done correcting your paint, P&S Play Maker All-in-One Polish & Protectant will then leave behind a layer of protection to ensure your paint retains the perfection you just achieved! The fact that you are on this website right now proves that you are the types of person that cares about the condition of their car’s paint. The issue that we are sure you are having is with the process necessary to achieve those results. Even if you are the kind of person that also enjoys the process, being able to cut the time it takes down is probably still something that appeals to you. Well, P&S Play Maker All-in-One Polish & Protectant is a product that is bound to save you TONS of time without compromising the results! P&S Play Maker All-in-One Polish & Protectant will complete an entire 3-step detailing process in just one step! The genius formula of P&S Play Maker All-in-One Polish & Protectant contains professional level micro-abrasives that give it the incredible ability to correct moderate paint imperfection and polish out to a glossy shine. Once the micro-abrasives have done their job, the rest of the formula of P&S Play Maker All-in-One Polish & Protectant will take over, leaving behind a durable layer of protection! Now your paint is polished, cleaned, and protected, all in one step thanks to P&S Play Maker All-in-One Polish & Protectant! P&S Play Maker All-in-One Polish & Protectant is applied using a foam polishing pad or an all-in-one foam pad. Once the surface has been thoroughly polished, buff away the excess product to reveal a clean, polished, and protected surface! 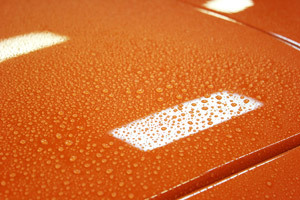 If you are a professional detailer, minimizing the time it takes for you to detail a car’s paint is crucial. While P&S Play Maker All-in-One Polish & Protectant will already save you a ton of time by greatly reducing the amount of time it takes to detail a car, that is not all it will offer the profession who uses it. P&S Play Maker All-in-One Polish & Protectant will also make the clean-up much more efficient and hassle-free. This is thanks to the dust-free nature of P&S Play Maker All-in-One Polish & Protectant. 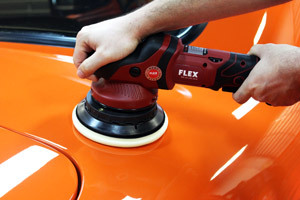 Without any worry about having to waste time wiping up all the dust that many other all-in-ones produce, you will save even more time and hassle during your average detailing job! Many people think that having perfect paint means owning an expensive machine polisher as well. While that is true for a lot of products on the market today, that is not the case for P&S Play Maker All-in-One Polish & Protectant. This amazing formula can be used both by machine AND by hand. Just one more reason that P&S Play Maker All-in-One Polish & Protectant is the perfect product for both the professional AND the enthusiast! 1. Wash the entire vehicle prior to beginning the polishing process. If necessary, clay the surface of the paint. 2. Select your desired tool and pad combination for polishing. 3. Apply a small amount of P&S Play Maker All-in-One Polish & Protectant to the paint surface or the pad and begin the paint correction process. Use light to medium pressure to product a bright finish. Work a 2’ x 2’ area or smaller and apply sufficient product to lubricate and provide sufficient cleaning. 4. Take your time and repeat the process over the entire paint surface. Inspect paint thoroughly to make sure optimal results have been achieved and polish to a bright finish using a quality microfiber towel. Renny Doyle Double Black CollectionP&S Brake Buster Non-Acid Wheel CleanerP&S Brake Buster Non-Acid Wheel Cleaner 128 oz.P&S Shape Up Interior DressingP&S Shape Up Interior Dressing 128 oz.P&S Xpress Interior CleanerP&S Xpress Interior Cleaner 128 oz.P&S Wash & Wax Luxury Wash SoapP&S Wash & Wax Luxury Wash Soap 128 oz.P&S Ultracoat Paint SealantP&S Ultracoat Paint Sealant 128 oz.P&S Velocity Glaze Speed Wax P&S Velocity Glaze Speed Wax 128 oz.P&S Hi Tone Glaze the Original Liquid Wax P&S Hi Tone Glaze the Original Liquid Wax 128 oz.P&S Ultracoat Polish Clearcoat Finishing PolishP&S Ultracoat Polish Clearcoat Finishing Polish 128 oz.P&S Island Shine High Performance Water Based Tire Dressing 128 oz.P&S Natural Finish Interior Dressing 128 oz.P&S Brilliant Blue Multi-Purpose Rubber Vinyl Dressing 128 oz. I saw this at the MTE in Orlando and was looking forward to trying it. I've used a different one for years that I was happy with but Playmaker rules!